In her quest to win more souls for Christ and enlarge God's kingdom, Christ Apostolic Church Youth Fellowship (CACYOF), Oke Iye II, Igbesa Ogun state is set to go for her first rural rugged. 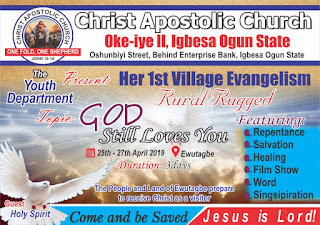 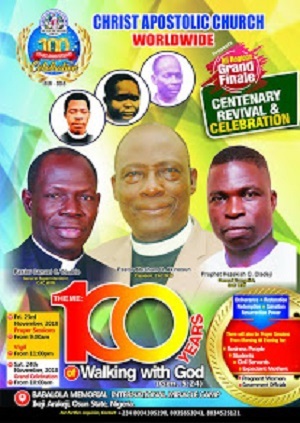 CAC NEWS gathered that the fellowship will be holding the fruitful evangelism at Ewutagbe Village from 25th to 27th of April, 2019. 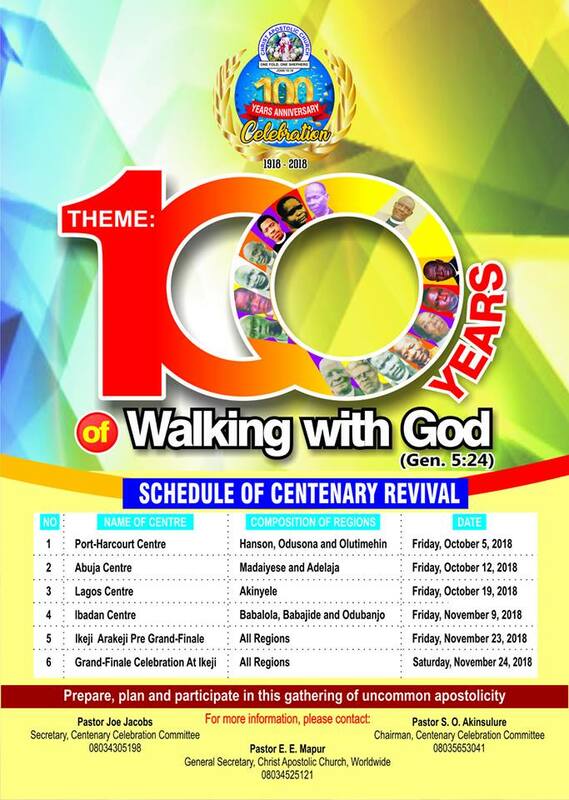 "God Still Loves You" is the theme of the rural rugged which major features are repentance, salvation, healing, film show, word, songspiration and many more.